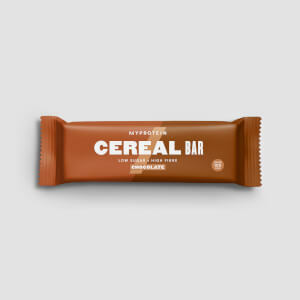 These delicious cereal bars are the perfect snack to satisfy your sweet-tooth cravings between meals or after a workout — and with less than 95 calories per bar they won’t set back your training. 2. Calcium is needed for the maintenance of normal teeth and normal bones. Calcium contributes to normal muscle function. When to enjoy Protein Cereal Bar? They're an ideal, nutrient-packed snack for whenever hunger strikes — great for lunchboxes, mid-morning coffee breaks, or as post-workout treats. What to enjoy Protein Cereal Bar with? If these are helping you through a low-cal diet, try with our Low-Cal Meal Replacement Blend for a shake that delivers you 17g of protein, 17g of carbs, and 4g of fibre all at just 200 calories per serving. For allergens, including cereals containing gluten, see ingredients in bold. Also, may contain egg, peanuts, nuts and products thereof. Double Chocolate Flavour: Oat Blend (30%) (Malted Oats (Oat Flakes, Palm Oil, Barley Malt Extract), Rolled Oats, Oat Flour), Protein Blend (14%) (Soya Protein Crispies (Soya Protein Isolate, Tapioca Starch, Colour (Calcium Carbonate), Salt), Milk Protein, Whey Protein Concentrate (Milk)), Inulin Syrup (Oligofructose, Fructose, Glucose, Sugar), Humectant (Glycerol), Milk Chocolate Flavoured Coating (8%) (Sugar, Non-Hydrogenated Palm and Palm Kernel Oil, Whey Powder (Milk), Fat-Reduced Cocoa Powder, Wheat Flour, Emulsifiers (Soya Lecithin, E476), Flavouring), Polydextrose Syrup, Crisp Rice (Rice Flour, Sugar, Sunflower Oil, Emulsifier (Soya Lecithin)), Wheat Crunchies (3.7%) (Wheat Flour, Rice, Sugar, Whey Powder (Milk), Salt, Rapeseed Oil, Emulsifiers (Glycerol Monostearate, Soya Lecithin), Raising Agent (Sodium Bicarbonate)), Stabiliser (Acacia Gum), Partially Inverted Sugar Syrup, Fat-Reduced Cocoa Powder, Flavourings, Rapeseed Oil, Salt, Trucal®(Milk Mineral Complex), Antioxidant (Mixed Tocopherols). The nutritional information is based on the Double Chocolate Flavour version, when choosing an alternative flavour the nutritional values may vary. 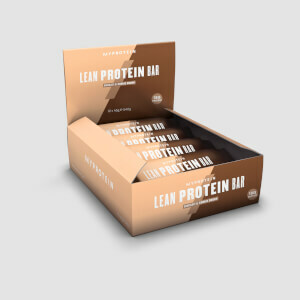 I find these bars excellent for before or after the gym. I also have these if I feeling the need for chocolate, they take my mind off it. I would recommend these as they taste good and fill you up too. 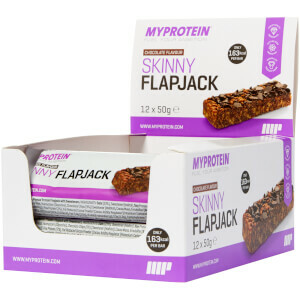 These are a great little treat or snack, low in calorie, tastes like a guilt-free chocolate bar. Great taste and low in calories. Use as a snack bar and they are highly effective, wards of hunger. This is the second time I’ve ordered the virtue bars, they’re perfect for a mid morning snack after an early start in the gym, we shall definitely be buying more soon. Really enjoyed these, taste nice without the powdery synthetic feel. Quite small for bars but really do satisfy a craving and keep you full for a while. Coffee, or as a snack inbetween meals.